Udayan Care has recognised this problem in India and has founded the Udayan Shalini Fellowships, which are designed to provide higher education opportunities for able and ambitious girls. Girls for this programme are selected through a specially-designed assessment process which determines their Need, Ambition and Talent. Competition is tough with places only being awarded to 1 in 12 applicants. Those selected will receive financial support for the duration of their university degree of training course. 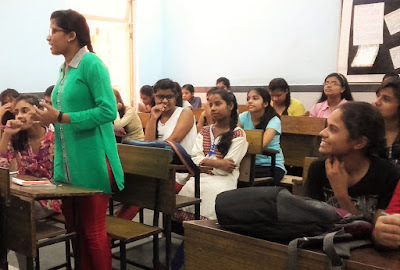 Like other Udayan projects, the Fellowship offers mentor support and has a focus on all-round development in order to offer the girls the best chance of succeeding their chosen careers. Furthermore, after they have completed their studies or training the programme monitors their progress and offers advice to ensure they can live a happy and independent life. To date, the Fellowship has helped over 2000 girls across 5 Indian states. The benefits of education females also means that this will have transformed the lives of many people beyond that 2000. Many of the participants in the Fellowship have gone on to excellent academic and professional achievements and not only is this a testament to the programme but also shows how much potential lies in women in India if only they have the chance to unlock it. Very nice information about home care.Thanks for sharing.